As the word "Saffron" implies emblem of mirth and joy, "Saffron Heights" is poised to provide a spectacular lifestyle one could ever envisage, where tranquility, greenery and luxury combined to form perfect flats in saffron heights pallavaram, Chennai. You can buy the best1 BHK flats with Study Room, 2 BHK, 2 BHK flats with Study Room, 3 bhk flats with private terrace in this project. Designed to perfection and set amidst verdant surroundings, "Saffron Heights" is a residential gated community spread across 2.11 acres in the lap of Mother Nature. It offers 152 well planned flats at pallavaram, near OMR Chennai with the state of the art facilities and is strategically located 0.5 km off the 200 feet road, which is surrounded by prominent IT companies, educational Institutions, Recreational Hubs, Hospitals, Shopping Malls, and Supermarkets. 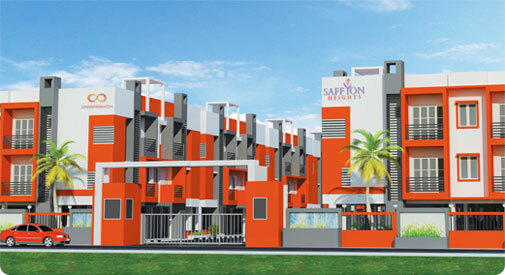 Saffron Pallavaram flats in Chennai is well connected by all modes of public transport. To help people live smart, Amarprakash builder has come with an innovative and high standard project known as Saffron Heights in Chennai Pallavaram which provides quality apartment along with excellent customer service at all levels of affordability. At each level, Amarprakash builder seek to be the customer"s first and foremost choice. A heavenly retreat awaits here at Saffron Heights Chennai Pallavaram for people to relax the mind and spoil the sense. 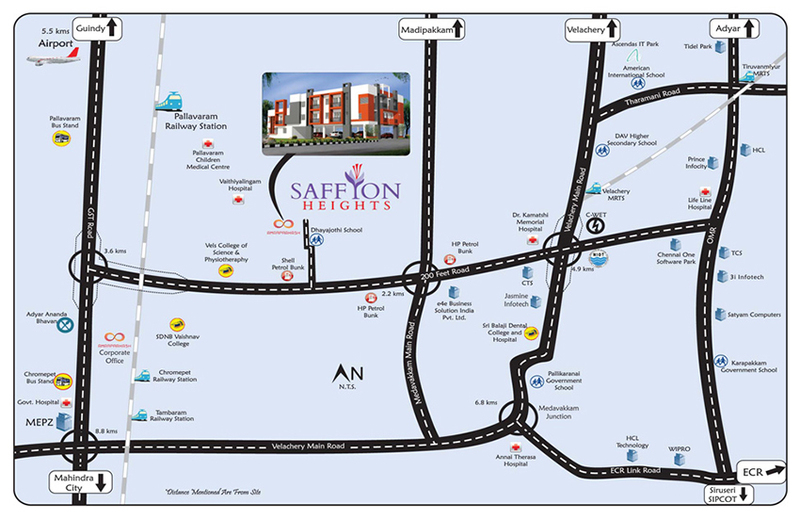 Saffron Heights in Chennai Pallavaram is the right place which is in close proximity to everything that a modern lifestyle requires. Imagine stepping into your flat where you will be greeted by the warm sunshine and the group of Elite community in your neighborhood flats that is Saffron Heights Pallavaram, Chennai. Best of all, just a short distance away to an exclusive lifestyle! !